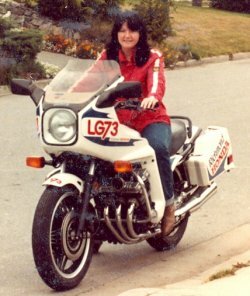 The Board of Directors of the Canadian Motorcycle Hall of Fame is pleased to announce the first Members of the Class of 2018. Joseph & Vera Godsall will be honoured at the 13th Annual Induction Banquet and Reunion which takes place November 17th, 2018 at the Delta Hotels Burnaby Conference Centre in Burnaby. When you say Motocross to an enthusiast in British Columbia, they will automatically think – Joe Godsall. Being a competitive motocross racer, Joe understands the value the sport brings to the younger participants and their families as well as encouraging the competitive drive in the older generation and has promoted the sport for many years. But perhaps their major claim to fame is as the saviours, more than once, of motocross activity in BC. When the sport was suffering under harsh economic pressures, they gathered together interested parties and formed a not for profit club wh o were permitted to run events at the CMA Agassiz track until they obtained use of a track at Mission. When we were losing clubs due to financial pressures, Vera organized a race herself to fill the void. She also formed a group, Hi-Tech Racing to organize CMA motocross events in BC. 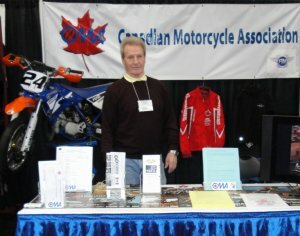 Both Joe and Vera were very active in producing the CMA Super Series, one of the most successful motocross series, with events taking place at all tracks in the Province. They are both involved with the CMA and attained the status of CMA National Referee, overseeing many events, positions they still occupy to this day. Joe became the BC board member for CMA National and served as Vice President and then President from 1989 to 1997 and from 2001 to present time. Joe holds FIM official’s credentials in Environment and Trials. Vera and Joe are CMA lifetime members. The Chair of the Canadian Motorcycle Hall of Fame Board and all the Directors, are pleased and honoured to welcome Joe & Vera Godsall to the Class of 2018.